Today I've posted a lovely digital flower clipart of a wild rose. 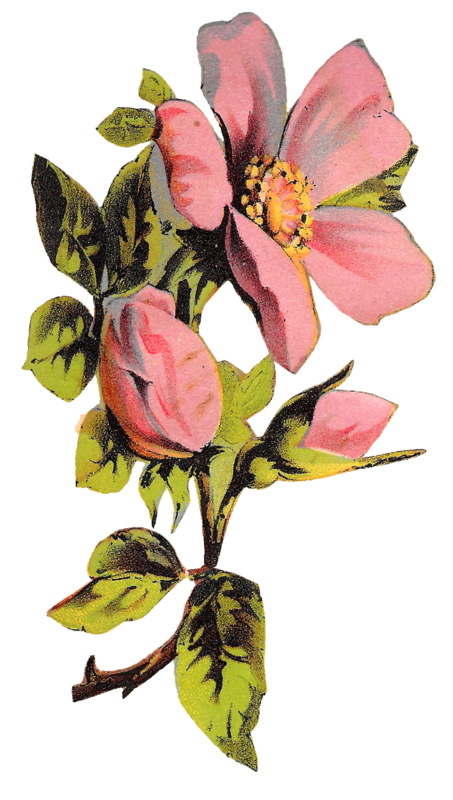 I found this pink flower illustration image in one of my Victorian scrapbooks. 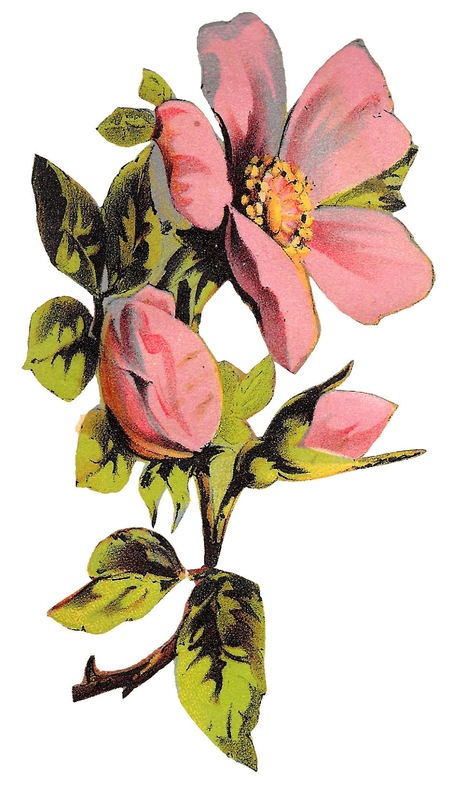 It is a pretty, antique paper scrap cut from an old seed catalog. The leaves and rosebuds beautifully highlight the big, rose flower. This beautiful pink rose artwork is perfect for lots of crafting projects, especially Mother's Day greeting cards and gift tags.